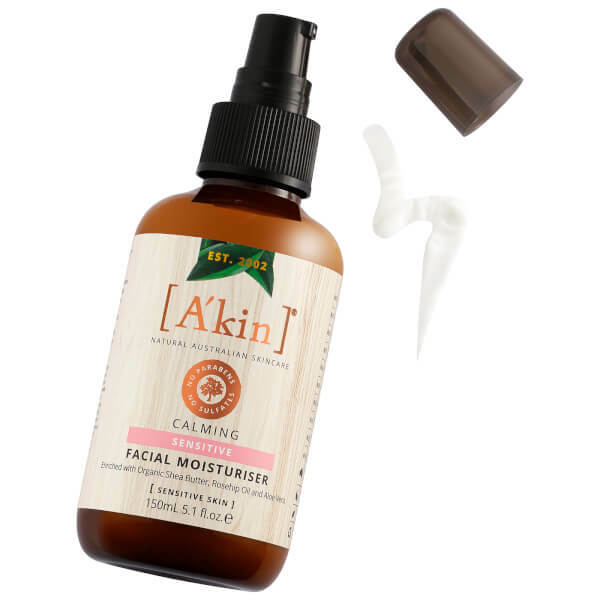 Catering specifically for sensitive skin, the A'kin Calming Facial Moisturiser effectively soothes and hydrates without greasy or sticky residue. Infused with a host of beneficial ingredients, including Organic Shea Butter, Rosehip Oil and Aloe Vera, the lightweight, fragrance-free lotion absorbs quickly to soften and condition, whilst calming dry and delicate skin for long-lasting comfort. Housed in convenient pump packaging. Vegan. Not tested on animals. Made in Australia. 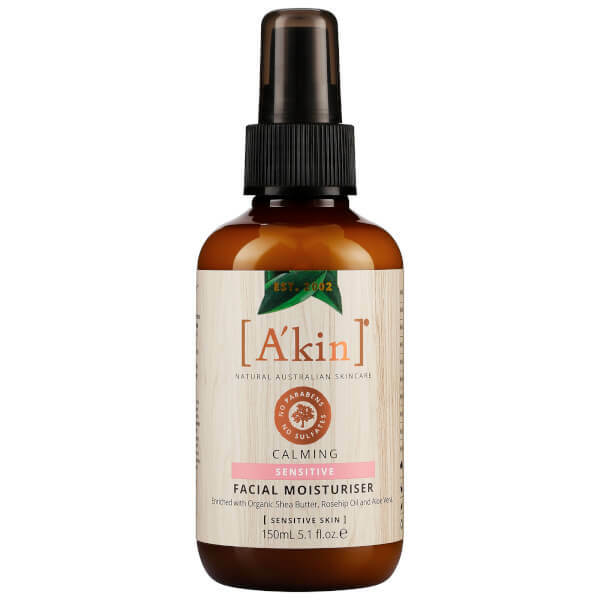 Aqua (Water), Aloe Barbadensis Leaf Juice+, Macadamia Ternifolia Seed Oil*, Cetearyl Olivate*, Sorbitan Olivate*, Butyrospermum Parkii (Shea) Butter+, Glycerin*, Sorbitol*, Panthenol (Provit B5)*, Simmondsia Chinensis (Jojoba) Seed Oil*, Xanthan Gum*, Sodium Citrate*, Ethylhexylglycerin, Rosa Canina (Rosehip) Seed Extract+, Citrict Acid*, Tocopheryl Acetate*, Sodium Phytate*, Rosmarinus Officinalis (Rosemary) Leaf Extract+, Helianthus Annuus (Sunflower) Seed Oil*, Lecithin*#, Tocopherol*, Phenoxyethanol, Sodium Dehydroacetate.